The former world heavyweight boxing champion Muhammed Ali, one of the world's best-known sportsmen, died at a hospital in the US city of Phoenix, Arizona, after being admitted on Thursday. My father and I watched Cassius Clay, as he was known then at the 1960 Olympics, and reckoned he would get nowhere in professional boxing holding his hands so low - how wrong we were. Then again how could a poor boy from so humble beginnings end up being an eternal world star. The pic is something memorable for both Ali and Presley fans. 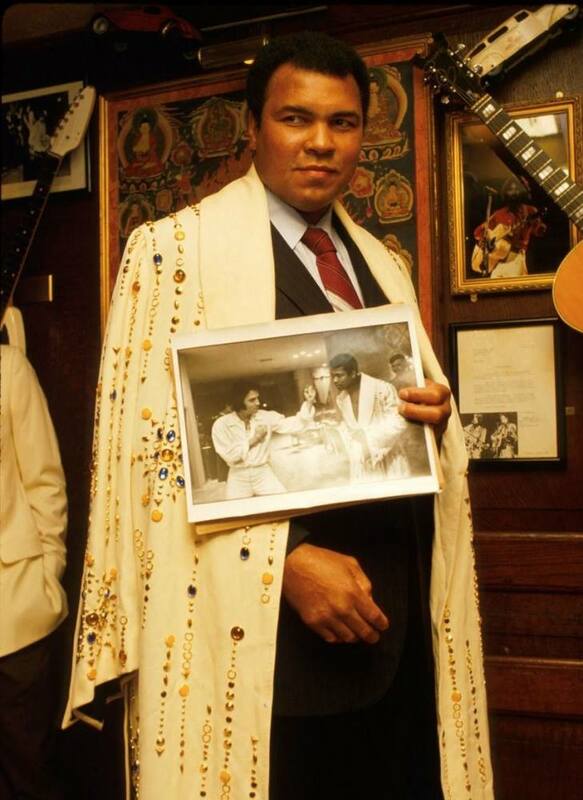 That is an awesome photo, would love to have it on my wall, RIP Muhammad the greats are all together now.